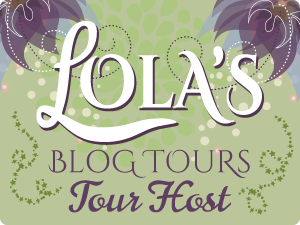 So, anyone who knows me and knows this blog knows I adore Samantha Young's books and her latest release is no different. I was lucky enough to be approved for an ARC of Every Little Thing which continues Samantha's Hart's Broadwalk series, the first book in the series followed Jessica and Cooper's relationship and, those of you who have read it, will remember Bailey Hartwell, the owner of the local inn and Vaughn Tremaine, the wealthy business owner who seemed to hate each other but who we all secretly knew had feelings for each other. 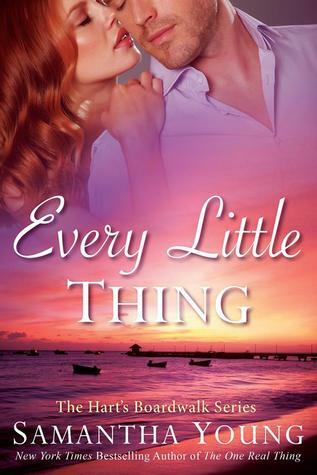 When Every Little Thing opens Bailey is still with her boyfriend of ten years, Tom and is coasting through life with him feeling like things aren't going well so she decides to try spice up their relationship and makes a shocking discovery when she surprises him at his apartment one evening. One of my favourite things about this book is we get to see another side to Vaughn. In the first book, I didn't like him very much and this book completely changes my outlook of him. He really is lovely and sweet despite his tough, hard exterior. He wants the best for Bailey and once they admit their attraction he is just perfection. He always has her back and boy does she need it when her sister rocks into town! He is there for her 100% and I loved that about him and it is just what she needed even if sometimes she doesn't realise it. My favourite thing about these books is the sense of community you get reading them. All of my favourites are back in this and I was reminded of how much I love them all. It's not just that but you can tell reading this that community means everything to Bailey. She is a member of the founding family and you can really see that in everything she does and how protective she is of the Broadwalk, that her inn, and the businesses of the locals are on. She is the fire of the town and will fiercely protect its inhabitants from the likes of the Devlin's to the best of her ability. Oh and can I just take a moment to talk about those pesky Devlin's?! I cannot wait for them to disappear off the face of the earth. Seriously! This family! As you know from the first book, they are desperate to get their hands on some Broadwalk real estate, in the last book they went after Cooper's bar, in this one, they have their sights set on Bailey's inn and they really are despicable! I really want them to get their ultimate just desserts but the ending they got in this book will do for now, I loved reading every moment of it and cheered Bailey on as it unfolded. All in all, Every Little Thing is a great addition to this series and I cannot wait to see where this story goes and I really, really hope the next story we get is Emery's because she has me really intrigued and I would love to know more about her and her backstory!